• The T3270 is a combination of precision, performance and productivity providing great best-in-class printing and scanning speeds. • Frequently used for technical drawings, graphic posters that require precise 24" wide prints at a max resolution of 2880 x 1440 dpi. • The T3270 is fast as it is able to print a D-sized 22 x 34" plot in just 28 seconds based on its speed of 660 ft² per hour. • Media up to 59 mil thick and the ability to use either cut-sheet or 2" & 3" core roll media allow performance grade flexibility. • Fast exposure times with fine line detail come without long heating & cooling times, expensive metal halide bulbs or high temperatures. • A touch of the button quickly starts and stops work providing great use of the 50,000 extended life the unit offers. • Front loading cartridges offer vivid color and sharp lines on numerous paper types. Even for archival smudge & water resistant prints. > printing up to 31 percent faster than the previous generation. > up to 75 percent faster glossy prints with a new production print mode. > a 20% speed improvement when switching between rolls on dual role models. > auto-roll selection is now in Microsoft Windows® driver. > scanning of up to 30m for black-and-white scans. > scan to produce full-bleed border less copies. > DoD 5220.22 M standard for HDD sanitation to meet government and corporate security requirements. > truly affordable outstanding performance. 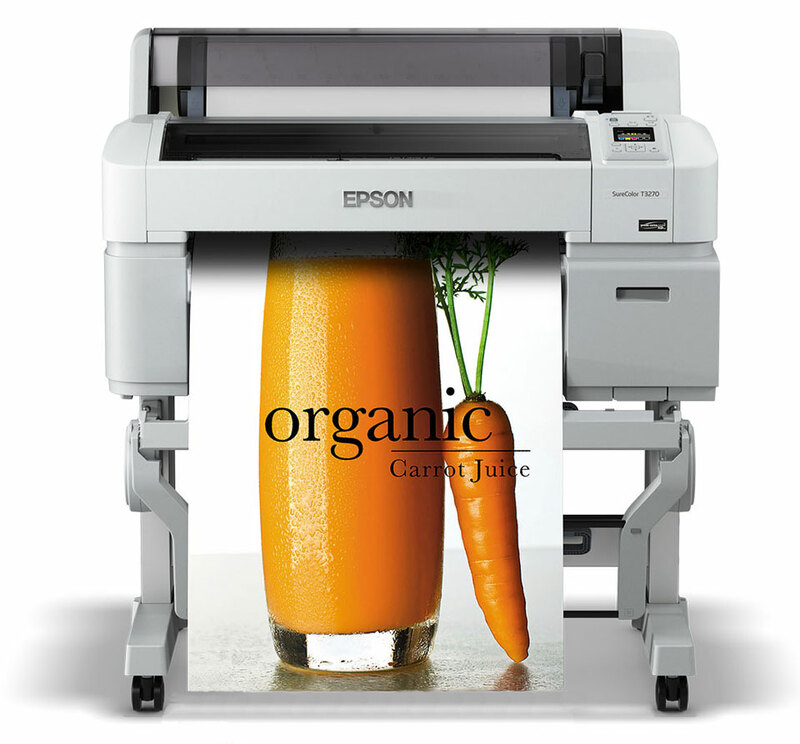 • give us a call for the high quality Epson inks that allow this printer its precision.